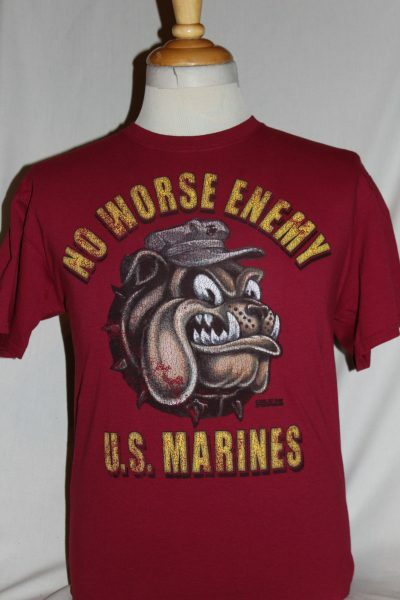 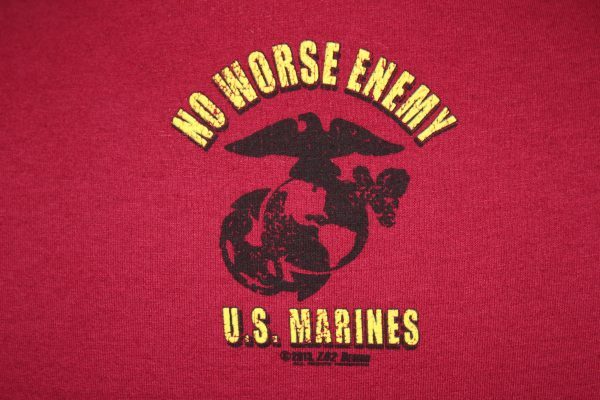 The US Marines No Worst enemy T-Shirt is a two sided print in Scarlet. 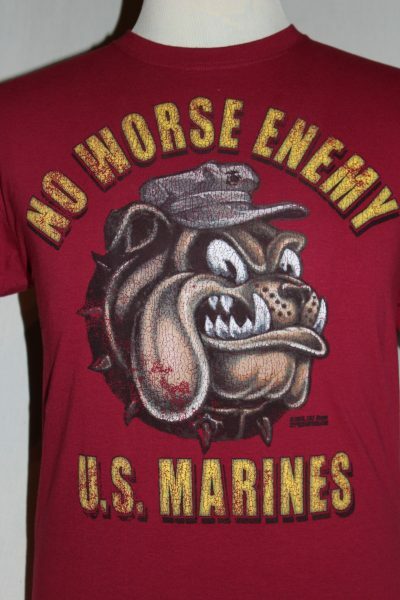 Front Design: USMC Bulldog and text. 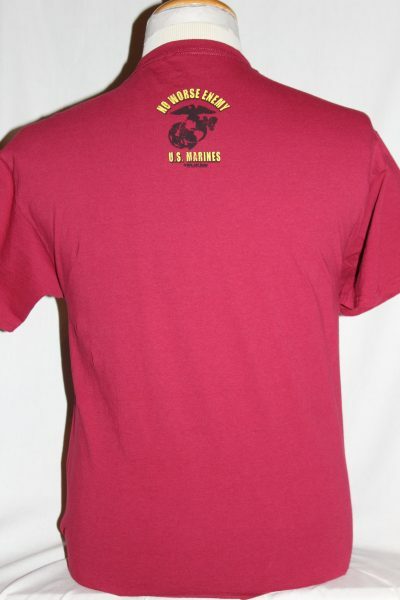 Back Design: Upper back globe & anchor and text.